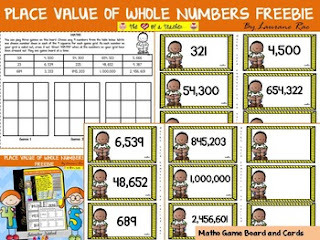 This resource features an interactive activity to identify and write the value of a digit by its place in a number and a game to reinforce reading and writing whole numbers. 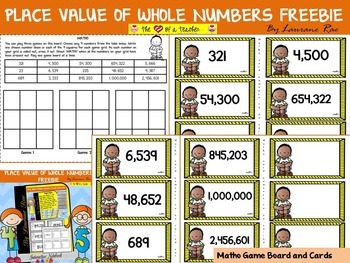 This resource can also be used in math centers and with small groups of students. Students write the numbers from the Digit Value Cards onto 4 x three window flaps. They fold back the tabs and write the PLACE VALUE of the underlined digit. Choice of 6 templates on a page or 12 templates on a page. 12 Digit Value Cards. The value of the digit to be determined is underlined and highlighted in red. Photograph of completed activity accompanied with instructions. game similar to bingo to reinforce IDENTIFYING and READING whole numbers.